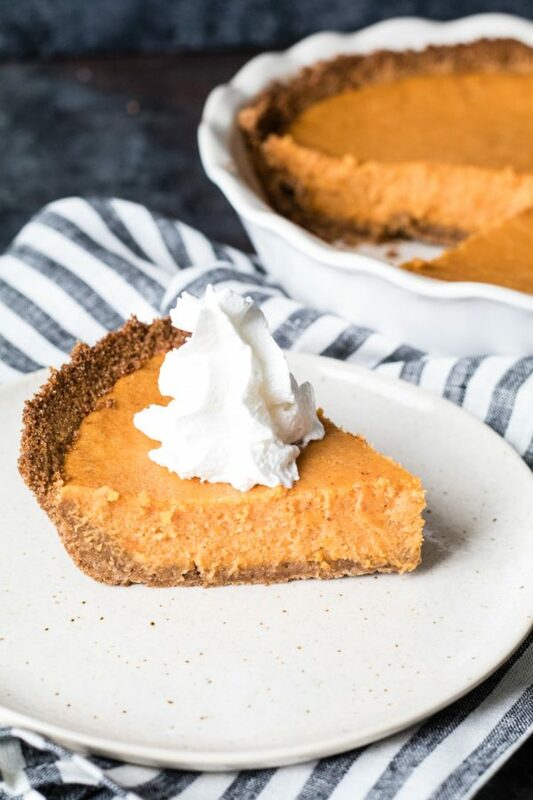 This Silky Sweet potato pie might have to be the new pumpkin pie in my house – I can’t get over how delicious this turned out! 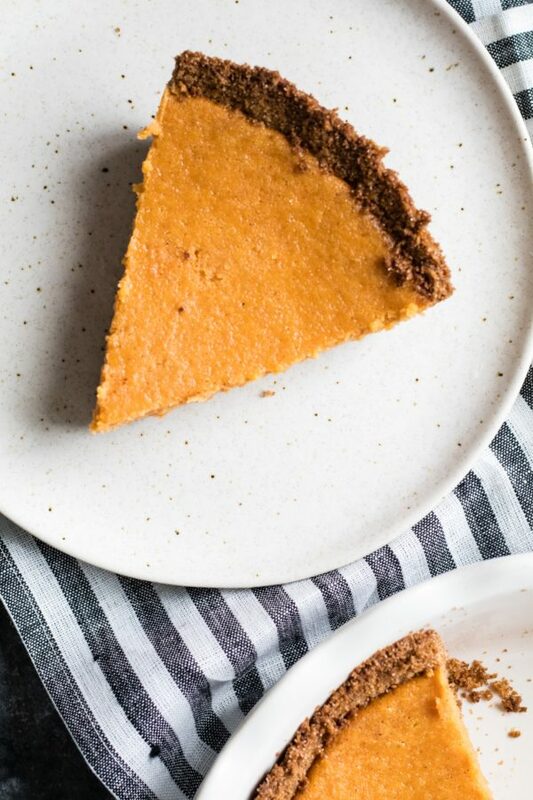 Try out my sweet potato pie for a healthy Thanksgiving dessert this year! The weekend flew by…Friday night I worked a carnival for my mom selling caramel apples with a couple girlfriends it was a great turnout! Then Saturday morning my older brother came over and I made us breakfast…a super yummy vegetarian egg bake and French press coffee, it was the perfect start to our day! Then after he left I made this pie…the house smelt amazing to say the least! On Sunday I went to a new cycle class in town called Ride54. If any of you have heard of Soul Cycle it is a little bit like that! I am super stoked for the studio to open up in Dec (which is basically tomorrow haha). I needed a new workout routine so I am looking forward to this new cycling regimen I’ll be on! What do you all do to stay in shape during the holiday’s?! Anyways, I hope you enjoy this recipe. 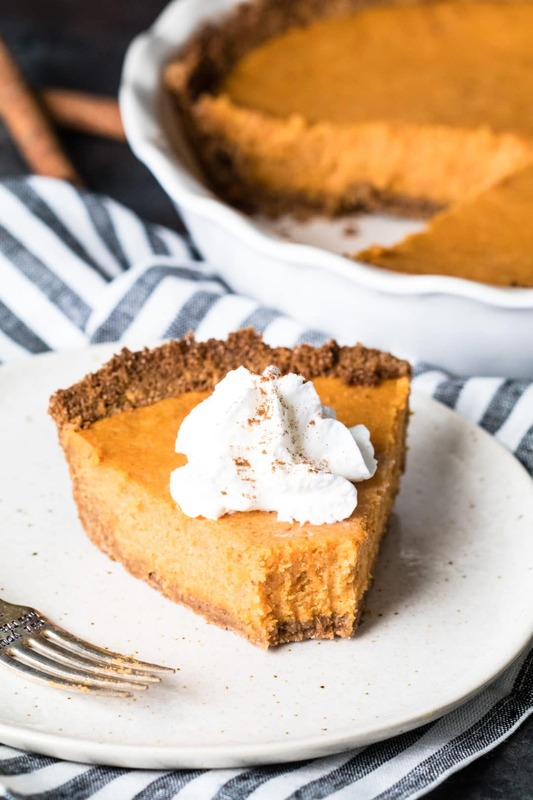 To make the process a little more simple…you can of course buy pre-made graham cracker crust but I wanted to make mine from scratch! Pleasantly surprise your guests with this silky sweet potato pie! Preheat oven to 350F. Place the graham crackers in a food processor until crumbly. Then add in remaining ingredients until combined. Spray 9-inch pie pan with PAM and then press the graham cracker crust into the pie pan. Bake for 8-9 minutes then remove and let cool. Melt the 1 stick of butter in a sauce pan and add in the cinnamon stick and cloves. Let this cook over medium heat for 5 minutes then remove cloves and cinnamon stick. In a standing mixer/Kitchen Aid, mix the remaining 9 ingredients (sweet potato-lemon juice) together until smooth, light and fluffy. Pour this mixture into prepared pie crust and cook in the oven at 350F for 45 minutes. Let cool for another 45 before serving. 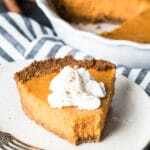 *Makes 2 small Sweet potato pies or 1 large pie - see bottom of this post for a muffin recipe to make with leftover pie filling if you don't want to make 2 pies! 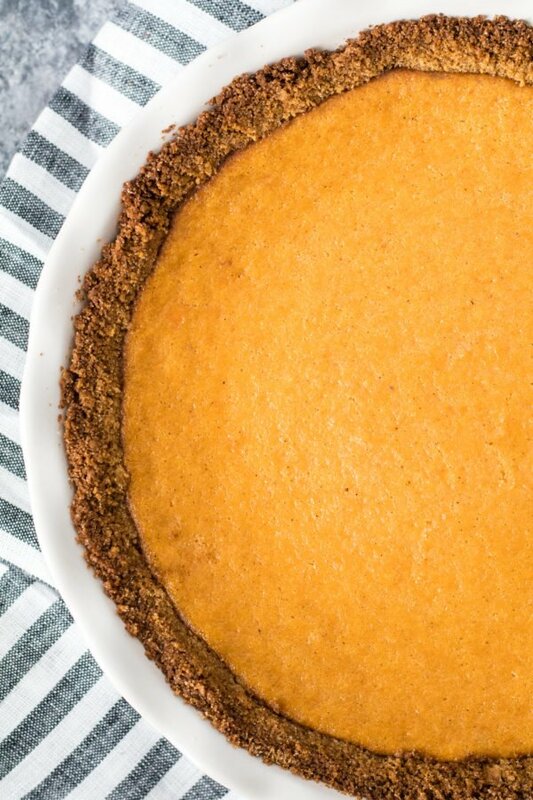 PIN this Sweet Potato Pie recipe for later! Then, I placed cupcake liners in a cupcake tray, sprayed them with PAM, and filled with pie mixture. I baked them in the oven at 350 degrees F for 15-20 minutes and they came out AMAZING! For the frosting, I used powdered sugar, butter, vanilla extract and a splash of milk. ENJOY! I’ve never made sweet potato pie! This may have just inspired me to try it! Looks so good! Well, now I know what to do with my leftover sweet potatoes! 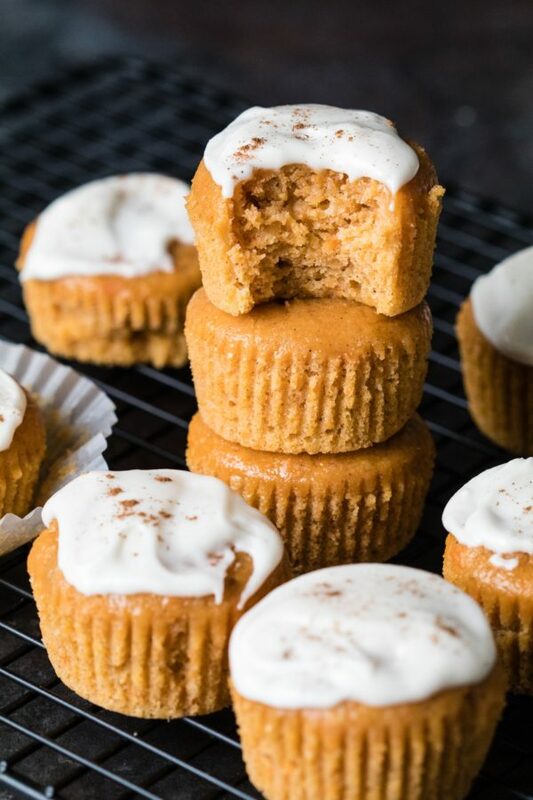 Love the use of muffin batter for the extra filling too! great pictures! I’m pretty sure at this point my thanksgiving dinner plate will now just consist of this sweet potato pie and dinner rolls with butter! Okay this sounds AMAZING! I am always the designated pumpkin pie maker in the home, but you have me thinking I need to try sweet potato pie after all these years! I’ve NEVER even had it! This looks lovely. I love the idea of sweet potato pie. No Thanksgiving is official unless you have pie and this will be the star of the show this Thanksgiving! So delicious! And I loved the bonus muffin recipe too! Pinning this again for my Thanksgiving spread this year, so so yummy! We always have sweet potatoes on hand- not always a giant pumpkin 😉 I love the substitution! You’ll love this recipe then! 😉 Thank you so much! I’m definitely making this for my Thanksgiving table. Thanks for the recipe!! Hope everyone loves it! Thank you! I am not a big fan of traditional pie crusts so this pie is basically heaven on earth for me. So so so Good! Agreed, thank you sooo much!! Great to have leftover ideas too! I’ve never tried sweet potato pie- this sounds heavenly! Thank you so much Emily – it’s a keeper! Hope you have time to try it out!